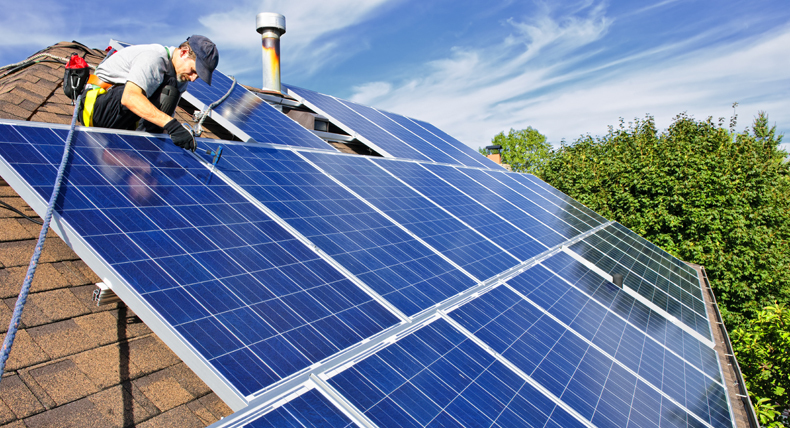 Polycrystalline solar panels are getting their due. They were thought of as inferior and not able to attain the efficiency of monocrystalline solar panels. Up until a few years ago, most solar panels were monocrystalline, but in the last three years, polycrystalline solar panels have overtaken them as the most commonly used panel. Both styles are so popular they are simply known as simply mono or poly panels. Basically, mono panels are a little more efficient and poly panels are a little less expensive, although both types of solar cells are very similar in performance. Here is an article outlining the advantages and disadvantages of polycrystalline solar panels. Polycrystalline solar cells also start as a silicon crystal ‘seed’ placed in a vat of molten silicon. However, rather than draw the silicon crystal seed up as with Monocrystalline the vat of silicon is simply allowed to cool. This is what forms the distinctive edges and grains in the solar cell. this process is easier and therefore less expensive. Polycrystalline cells were previously thought to be inferior to Monocrystalline because they were slightly less efficient, however, because of the cheaper method by which they can be produced coupled with only slightly lower efficiencies they have become the dominant technology on the residential solar panels market. they are also gaining in efficiency and are nearly on par with mono panels. The process used to make polycrystalline silicon is simpler and costs less. The amount of waste is also less on the panel itself because of the way the silicon wafers are applied to the panel. The efficiency of polycrystalline-based solar panels is a little less because of lower silicon purity. Although the difference is getting smaller all the time, you generally need to cover a slightly larger area to output the same electrical power as you would with mono panels. However, this does not mean every mono solar panel will perform better than poly panels. If you want to move into the future and join the solar revolution, or if you want to find out what solar panels are right for you, go to HahaSmart.com and try our price checker tool. You can see how much a system will cost, and how much you can save over the next 20 years.